The Arts and Crafts picture frame collection is perfect for the antique and art lover! 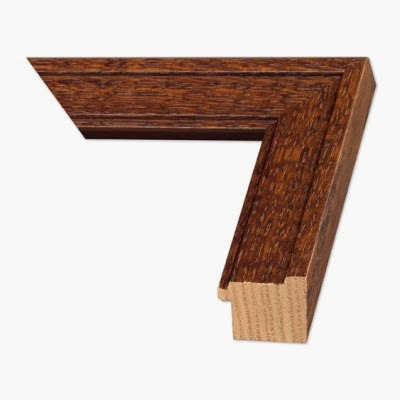 Known for its simplicity and superior hand craftsmanship, these mouldings feature wide faces made from quarter sawn oak, which was a prominent feature of the decorative style of the American Arts and Crafts Movement. Quarter sawn oak has two main advantages: these boards are resistant to warping and secondly, the decorative pattern on the boards charmingly showcases the beauty of the grain. Oak’s eye-catching grain and sturdiness dominate the structure of these frames. From our collection, we have three different colors available: black coffee, dark oak, and sunset oak. 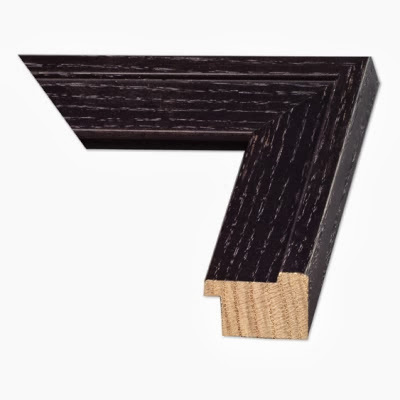 Additionally, Arts and Crafts picture frames have a shallow rabbet of 7/16” and will accommodate simple matted treatments. The Black Coffee and Dark Oak frames have an outer and inner ridge, whereas Sunset Oak bears a smoother and flatter face. 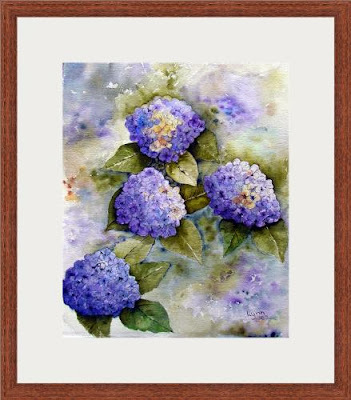 Arts and Crafts frame, Dark Oak, was used to frame this watercolor painting. The painting also received a white continuous core mat (8740) with wide borders, creating a sense of space and distance between the artwork and frame. Pairing this graphite drawing with a black frame (BlackCoffee) creates repetition. 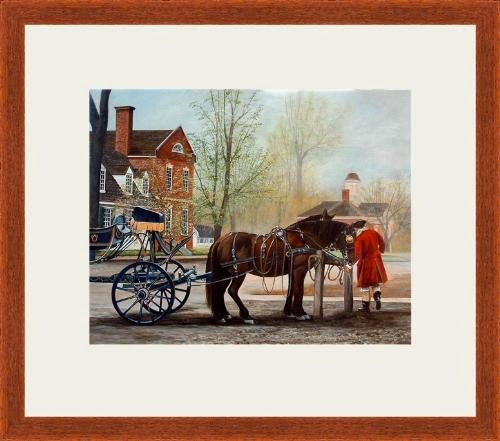 Instead of the picture frame being a distraction to the artwork, this frame compliments the various monochromatic tones that make up the work. 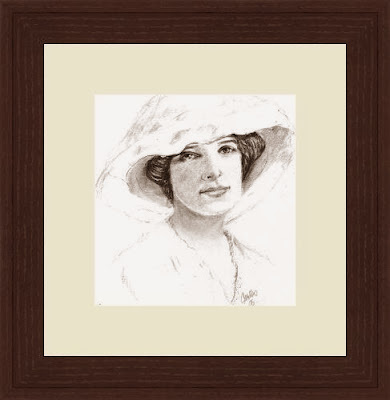 Combined with a white mat board, this framing treatment makes the work and frame cohesive. And finally, this painting is reminiscent of times past. This particular frame (Sunset Oak) mimics the natural brown hue of the building in the background and pairs nicely with a simple white mat (4709). 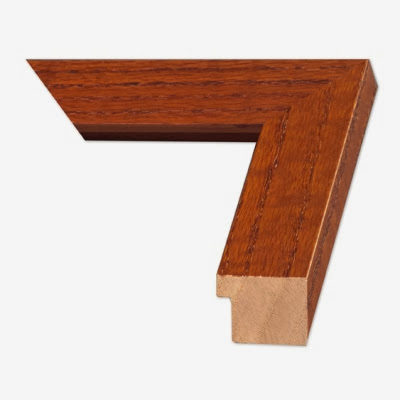 These solid wood mouldings are prized for their elegant tones and stunning grain. Paired perfectly with neutral mats, these frames look brilliant with a variety of artwork. From drawings to paintings and almost anything in between, these frames will enhance the artwork so it can be enjoyed for years and years! Have you used any of the frames from this collection before? Where did you hang them?